I believe there is latent beauty in the concept of suburbia. 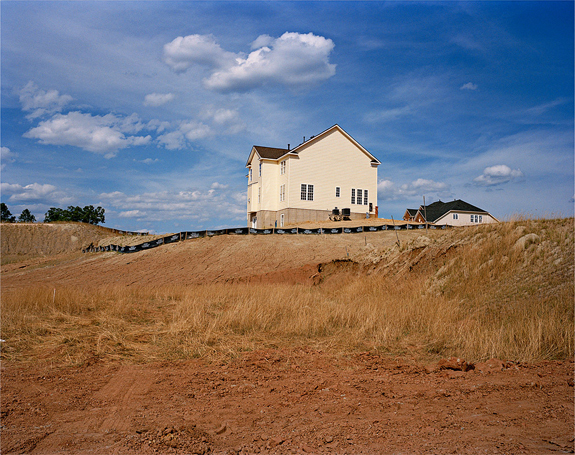 It is how we’ve nurtured the proliferation of suburban sprawl and what that says about our national character, that I have looked at in my work. When I started American Palimpsests in 2003, the residential development industry was expanding at record speed. This growth was essentially erasing the natural habitat: green grass was being planted over dry desert soil, earth was being excavated to make way for artificial lakes, and housing tracts were wiping away acres of wilderness. Simultaneously, once-vibrant, established neighborhoods were being left forsaken. 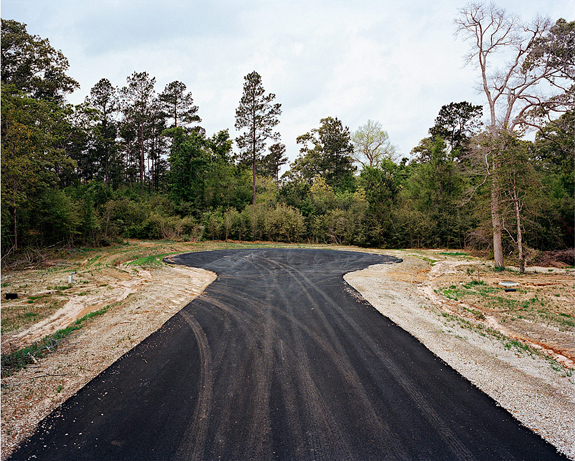 I saw this rapid change as defining the “American Palimpsest”: throughout the United States’ history, Americans have repeatedly rewritten the land to create an idealized notion of nature and habitat. 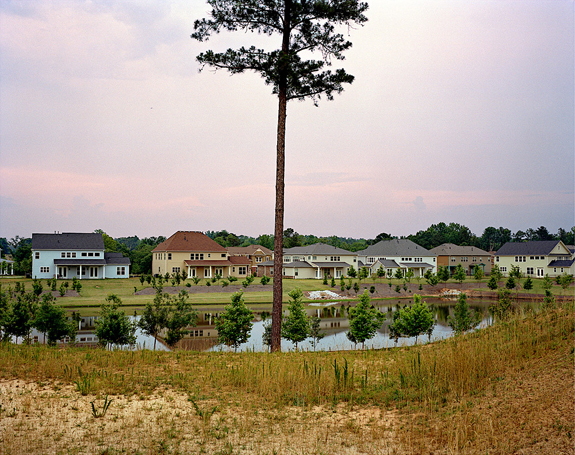 Many of the new communities I photographed for this project emptied amid the first bust of the new millennium, leaving behind incomplete developments and heavily altered landscapes. American Palimpsests | This Was What There Was is a photographic reckoning of several cycles of growth and contraction that reflect the American way of life.